Roseville, Calif. – Placer County Superior Court sided with Sierra Watch and ruled against developers Alterra Mountain Company in their attempt to sanction the Tahoe conservation group for its efforts to enforce California’s open government laws. The controversy arose from Alterra’s continued pursuit of the biggest development project in the Tahoe Sierra. Originally, KSL Capital Partners proposed the Squaw Valley project in 2011; then they joined forces with Henry Crown and Company to form Alterra Mountain Company. Alterra is now pushing that Squaw Valley project, as well as buying ski resorts throughout the world and selling the new ‘Ikon Pass’ to skiers, which grants access to 36 mountains on three continents. In Squaw Valley, Alterra seeks to build a series of high-rise condo hotels, including a 90,000 square-foot indoor waterpark. The project would take 25 years to construct and add thousands of car trips to Tahoe’s crowded roads. 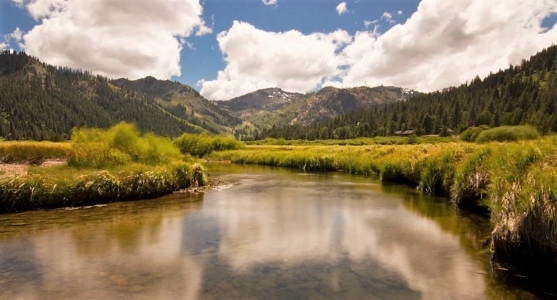 Sierra Watch, a Nevada City based conservation non-profit, is leading the effort to turn back the Alterra proposal and secure community-based planning for Squaw Valley. The group’s campaign to “Keep Squaw True” is based on the grassroots support of thousands of individuals and scores of local businesses. After the Placer County Board of Supervisors approved Alterra’s proposed development in 2016, Sierra Watch initiated two public interest court challenges to the approvals: one based on state planning laws; the other based on violations of California’s Brown Act. Sierra Watch’s Brown Act case challenges Placer County’s last-minute deal with the developers and the California Attorney General, negotiated in secret and announced the same day the project was approved. A cornerstone of the law is that the public must have the opportunity to be informed participants in decision-making. Specifically, the law requires a governing body to “post an agenda containing a brief general description of each item of business to be transacted or discussed at the meeting” and, also, that key documents relevant to important decisions be made “available for public inspection”. But, Sierra Watch contends, in the case of the Squaw Valley development and its impact on Lake Tahoe, the County did neither. Throughout the five-year planning process, conservationists, as well as the California Attorney General, raised concerns about how the Alterra project would pump traffic – more than 1,300 new daily car trips – into the Tahoe Basin, adding pollution to the lake and threatening the ongoing effort to Keep Tahoe Blue. But the deal was reached in the eleventh hour – not in time to make the public agenda for the Board of Supervisors meeting, nor made “available for public inspection”, another requirement of the Brown Act. “This really did literally come together yesterday,” explained the developers’ attorney, Whit Manley, at the hearing. Nevertheless, in June 2018 the Placer County Court ruled in favor of Placer County and the developers in the Brown Act challenge; that decision is now on appeal. Following that decision, Alterra attempted to pile on, entering a motion to sanction Sierra Watch – and collect $226,893.60 from the non-profit – as punishment for pursuing the case. Alterra claimed that Sierra Watch’s challenge had been “clearly frivolous and totally lacking in merit” – in spite of an abundance of evidence and arguments, based on depositions, formal memos, notices, agendas, and emails between the Attorney General’s office, Placer County counsel, and the developers. Alterra further attacked Sierra Watch and its motives, claiming that the group’s Brown Act challenge was based solely on the personal feelings of its Executive Director, Tom Mooers, and not on the actions of Placer County. In their brief, they claimed Sierra Watch acted because Mooers “took losing Sierra Watch’s campaign to stop the Project at the Board of Supervisors as a personal affront” because he is “hubristic”. In its ruling handed down this week, the court disagreed with Alterra and sided with Sierra Watch. “Based upon a careful review of the pleadings in support of and in opposition to the current motion, the entire file in this action, and its observations at trial, the court cannot conclude that petitioner’s action was clearly frivolous or totally meritless,” the ruling states. In the months ahead, Sierra Watch will follow through with its appeal of the original Brown Act challenge. Sierra Watch works to protect great places in the Sierra Nevada. Founded in 2001, the Nevada City based non-profit has built a remarkable track record in land preservation in Tahoe’s Martis Valley, on Donner Summit, and for other treasured Sierra landscapes. For more information, visit www.sierrawatch.org.